Summary: Asutype is a real-time speed typing program that works with any Windows application to automatically correct your spelling, as you type. AsUType helps you type faster and with fewer mistakes. Type faster and look smarter in only 10 minutes. Most spell check programs work like this: As you type your document, misspelled words appear with a red (sometimes red wavy) underline. You can either correct your spelling mistakes interactively as your spell-check underlines them, or you can start a spell check program and slowly correct mistakes one at a time using a spell-check dialog window. Wouldn't it make a lot more sense to just have your computer fix your most obvious spelling errors for you, automatically, as you type? That's what AsUType does. AsYouType starts automatically when you start your computer, but you can easily toggle it on and off by tapping both left and right shift keys at the same time. When enabled, AsUType automatically corrects your spelling in nearly EVERY Windows program, including Internet Explorer, Firefox, or any web browser you use. For example, AsUType fixes your spelling as you type in your PC based programs such as, Microsoft Word, Works, Wordpad, Notepad. Amazingly, AsUType also automatically fixes your spelling as you type in your browser. 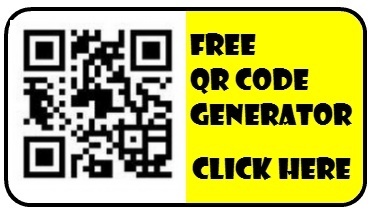 It automatically corrects your spelling as you type in Gmail, Hotmail, AIM mail, Facebook, Twitter, WordPress, Movable Type, or any Internet Forum. I've been using AsUType since 2004. AsUType is unique because it doesn't just spell check; In “automatic” mode, AsUType quickly and silently fixes your spelling as you type. AsYouType automatically fixes a problem I have when I omit or transpose letters while trying to type too quickly. For example, AsUType automatically corrects “teh” to “the” and “freind” to “friend” and corrects some accidentally combined words correctly inserting a space. 1) To toggle automatic spelling correction on or off, click the left and right shift keys at the same time. 2) If you've typed a word and you don't like the automatic spelling correction, you can tap the the caps lock key twice to undo the automatic correction. 3) Words typed in all-caps are ignored. So, if you're typing a proper name or unusual word into a browser address window (or into a browser search box), use ALL CAPS to prevent AsUType from automatically correcting what you've typed. he icon in the Windows task tray to set AsUType program options. To edit or add words in the dictionary, click the task tray icon and select “dictionaries.” Click the [Add] button to add a word, or to scroll through the list to edit, or to delete words from the dictionary. What's cool about AsYouType is that it works with nearly every Windows application including your Internet browser and any online applications you run in your browser. For example, you can use AsYouType with any Windows word processor, but you can also use as you type to automatically correct your typing as you type in your Internet browser. Automatic spell check and correction for Facebook, Twitter, MySpace, WordPress, Movable Type, or any online program where you type. Automatic spell check and correction for Gmail, Hotmail, AOL Mail, Yahoo Mail, or any online mail program. Automatic spell check and correction for Microsoft Word, Wordpad, OpenOffice or any word processing or desktop publishing program. 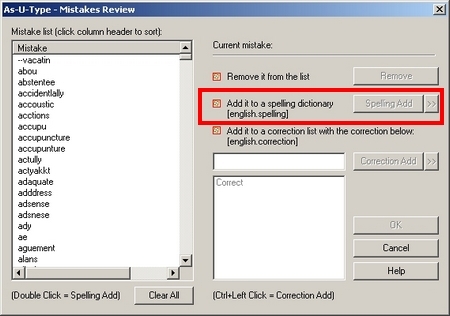 Automatic spell check and correction for Outlook, Eudora, or any desktop email program. 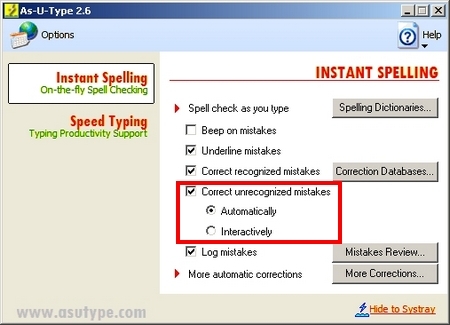 I'm surprised that more people don't know about AsYouType (speed typing) spell check software. 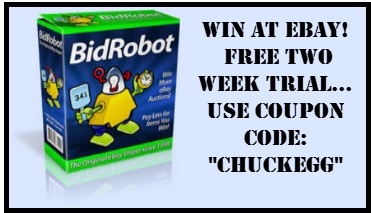 I've been using in since 2004 and highly recommend to speed up your typing and improve your typing accuracy.